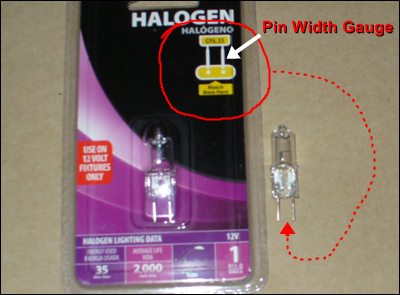 You probably know this for yourself, but if you didn't, it's a halogen bulb shown a mm less than actual size for my desk lamp. Need I mention a halogen bulb that burnt out. The problem with getting a replacement bulb is that they you have to bring the old bulb in with you to the store otherwise the bulbs all appear the same size on the rack by memory. Then you see the "pin gauge" printed on the package. 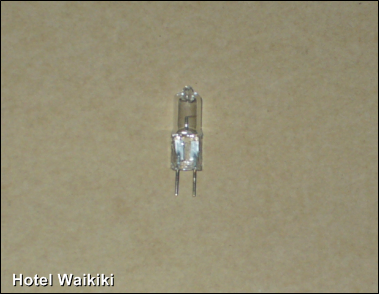 Different wattage, and I don't mean 60-watts versus 20-watts, but between a 25-watts and a 20-watts have different pin widths.